In yesterday’s list of weird things I’ve learned while researching a website on organic lawn care, I mentioned the use of Shop-Vacs against cinch bugs. Here’s the low-down. 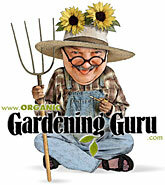 Organic gardeners are used to the idea that household items lead double lives in the garden. Lemon juice, vinegar, salt and sugar are all used against weeds or insects, old sheets protect plants from frost. Now the Shop-Vac too can be pressed into the organic line of duty. That’s right; you too can join the new suburban craze; take your Shop-Vac out to the front lawn and vacuum up cinch bugs! Where neighbors used to visit over barbeques, now they compare their cinch-bug catches, peering into the bellies of each other’s shop-vacs to see who made today’s big haul. The guy who recommends the method insists that “it works!” He’s David Patriquin, a Professor of Biology at Dalhousie University in Halifax, Nova Scotia, and he’s got an amazing web of web-pages devoted to cinch bug control. Now, I’d never heard of these awful creatures before starting a writing project on organic lawn care, but apparently they can do a number on grass despite being only 4 mm (a quarter of an inch) long even as adults. While most pests only feed on grass during one phase of their many-staged lives, the cinch bugs devote themselves to it, through all 5 nymph stages and as adults. Fortunately the eggs and the first nymph stage are red, and therefore it’s possible to see them, even though they’re smaller than pinheads. walks the beleaguered lawn-owner through the diagnostic process, then offers a range of control options, most of which, however, are not yet legal in Canada (or weren’t when the page was last updated). 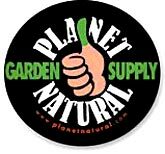 Even insecticidal soaps and Neem are approved only for some pests, cinch bug not included. Why? Apparently this information is being given out only on a need-to-know-basis, and Patriquin doesn’t qualify. Patriquin reports that the parks director in one small resort town on the Bay of Fundy keeps out an eagle eye for cinch bugs. When he finds a patch, he rakes the surrounding area into the center of the patch and then descends on it, Shop-Vac in hand. So if you see your neighbor out front this summer with an industrial-sized vacuum cleaner, tackling not her car but her lawn, you may well decide that she’s lost it at last. (And with that husband, it’s a miracle it didn’t happen sooner.) But there’s another possibility: she’s going after cinch bugs. That is the first I have heard of that! Wonders never cease. Enjoyed my browsing and reading here on your site. Found you on Blotanical. Keep up the good work. Thanks! I thought it was pretty weird myself, until my husband pointed out that we’d done something similar ourselves, when–but I feel a post coming on. Hadn’t heard of shop-vacs before; nor cinch bugs. But I do sweep greenfly from the roses with a broom. And I hadn’t heard of greenfly. We have whiteflies, which are bad news, and can’t be removed with brooms–they just swarm everywhere. (Fortunately, both ladybugs and some organic dusts are quite effective against them.) How’s the waving out your way? Nice article…..I really impressed while reading your post…..Thank you so much , it will useful to every one….